WASHINGTON — The British government announced Aug. 29 that it will spend more than $100 million to study whether the country should develop its own satellite navigation system as an alternative to Europe’s Galileo. In a statement, the government announced it would use £92 million ($119 million) from a £3 billion “Brexit readiness fund” to perform an 18-month study on the feasibility of developing the alternative navigation system. 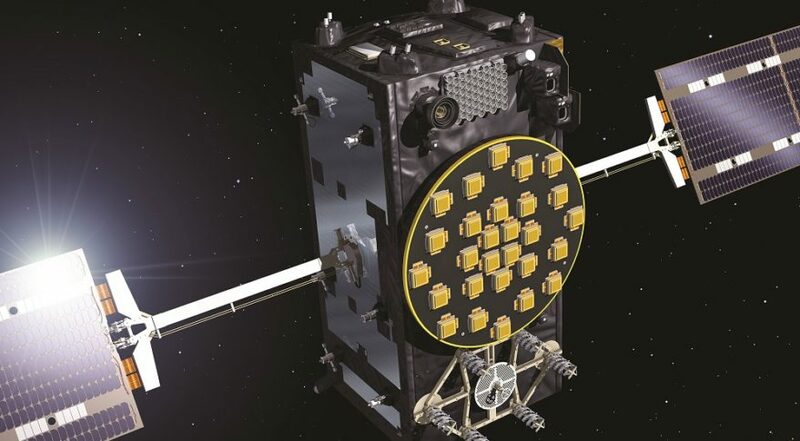 The study is prompted by ongoing negotiations between the United Kingdom and the European Union about the role the country will have in the Galileo system once the U.K. exits the E.U. next year. British officials say they’re concerned that, after Brexit, British companies may no longer be able to participate in the system’s development while the British military could be locked out of Galileo’s military-specific services without some kind of agreement. “The danger space poses as a new front for warfare is one of my personal priorities, and it is absolutely right that we waste no time in going it alone if we need an independent satellite system to combat those emerging threats,” said Gavin Williamson, U.K. defense secretary, in the statement. He also noted the government was working on its first defense space strategy for release later this year. The study, to be led by the U.K. Space Agency, will offer a “detailed technical assessment and schedule” for a British navigation satellite system. That system will offer both civilian and military signals, and be compatible with the U.S. Global Positioning System. British government officials have hinted for months that the country could seek to develop its own satellite navigation system if it’s unable to work out an agreement with the E.U. on continued participation in Galileo. European officials, as well as independent experts, have treated those claims skeptically, citing the expense of developing a full-fledged navigation satellite system and its limited utility. In the statement, Graham Turnock, head of the U.K. Space Agency, argued that the study will have benefits for the British space industry regardless of any future decision on an independent satellite navigation system. Galileo poses additional complications for the European Space Agency, which serves as the acquisition agency for Galileo. While the U.K. plans to exit the European Union, it will remain an ESA member state. In an Aug. 28 interview, Jan Woerner, director general of ESA, said he believes that the U.K. and the E.U. will be able to work out some agreement to permit Britain to remain involved in Galileo. “I hope and I believe that, if Brexit really happens, then the U.K. will have some agreement with the European Union of how to deal with European space programs, like Norway and Switzerland,” two countries who are not part of the E.U. but are members of ESA.